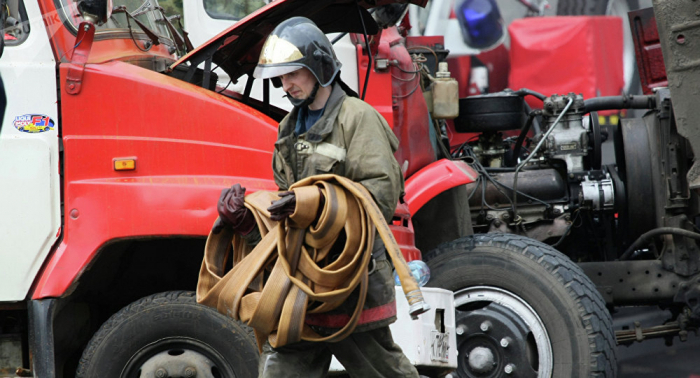 Two people died and five were injured including three children after a fire broke out in one of dormitories in a town of Peresvet in Moscow area, Russia. At least two people were killed in a blaze, which broke out in a rocket research centre's dormitory in a town Peresvet, which is near Russian capital of Moscow, local emergency service representative reported. According to the emergency services representative, during the battle with fire thirty-two people were evacuated. Twenty-five firefighters an eight units of fire-fighting equipment were involved in operations, the representative added.